Note: If you've had an experience with abortion, please see our "Healing after Abortion" page for resources and help. See images of the unborn before and after abortion in the Justice For All Exhibit (2000). 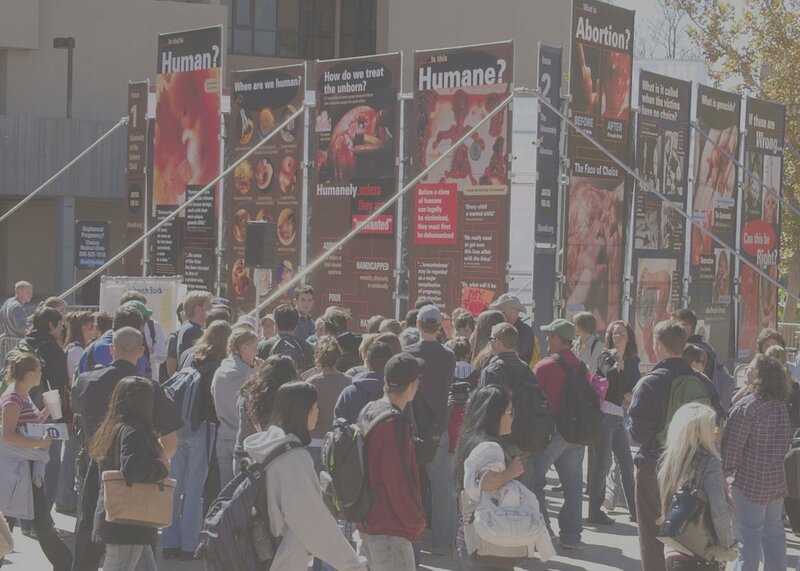 Justice For All's 2000 Exhibit creates controversy and conversation with pictures of the unborn before and after abortion at the University of New Mexico in 2006. Click the image or this link to see the Exhibit. Warning: This video shows the results of abortion in the first and second trimesters. It is extremely graphic. JFA's "What Are the Facts?" page includes descriptions of abortion procedures, numbers of abortions, and reasons women give for having an abortion. See the excellent page on abortion procedures at Abort73 for descriptions of techniques from abortion doctors and other well-documented sources. Former abortionist, Dr. Anthony Levatino, explains "the abortion pill," a non-surgical medical abortion procedure performed during the first semester. For education resources and to learn more about Dr. Levatino, visit Abortion Procedures.com. The Battalion is the Texas A&M daily newspaper. You can also read the text of this article here.